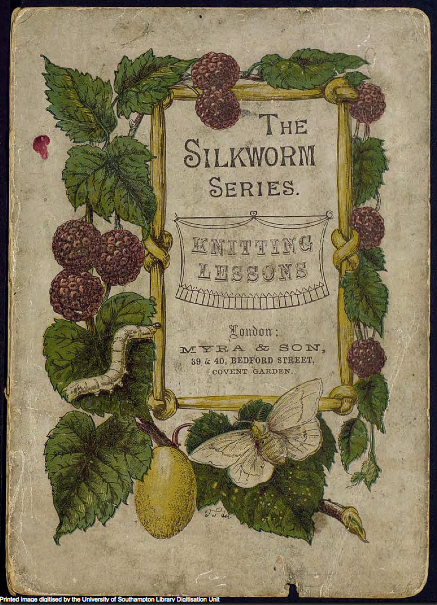 This entry was posted in Books, knitting, Uncategorized and tagged books, history, Knitting, library, patterns. Wonderful resource, thank you for posting! Thank you! This combines my love of needlework, history, books and digital technology! you’re very welcome 🙂 glad it may be interesting and thank you for your comment! This vintage book looks gorgeous! Have you come across any knitting handbook that would be devoted to continental knitting? I’m still in two mind for which option I should go. I do basic knit stitches in the continental way, just as I learnt them in my childhood, however I’d love to explore more knitting patterns and all are described in my English handbooks in a “rather English way”. Or is a particular knitting pattern universal for both ways of knitting and it’s just a matter of holding the yarn and making different moves? What do you think? It still feels to me like I’ve got to get my knitting skills sorted. I usually don’t pay much attention to this, I just knit “my way” (what I remember to have done as a kid).